Borchert Field: An *Even* Better Look at the 1948 Throwbacks. Thanks to the Twins interns' official blog on MLB.com, we now know the name of the young man who modeled the 1948 Brewers uniform at the unveiling. 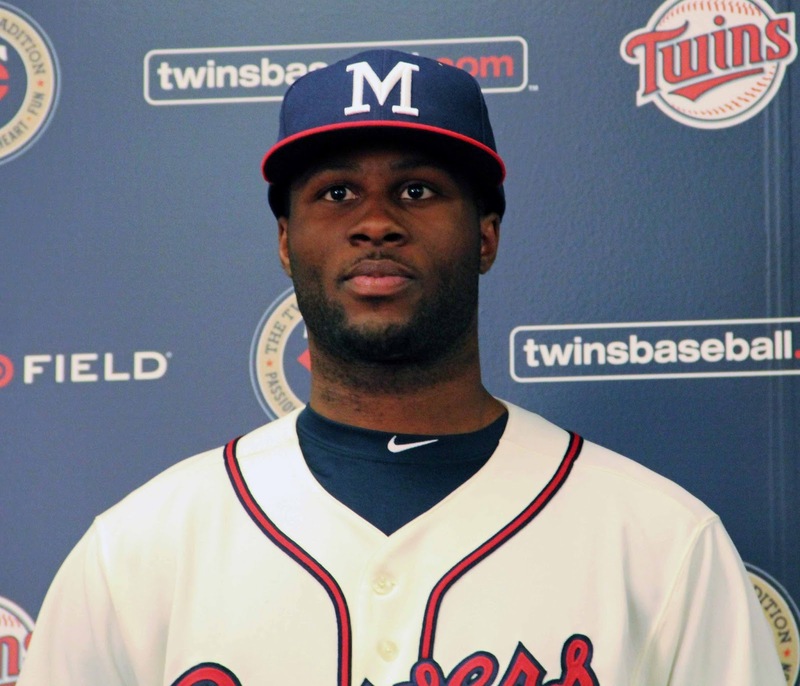 It must’ve been a bit of luck to have the honor to debut the retro uniforms of the Minnesota Twins and the Milwaukee Brewers. As an intern the idea of being on stage for the media with Joe Mauer and Glen Perkins was never a thought in my mind. But when I was asked to model the uniform I dived right in. I felt like one of the players after I walked out the locker room and into the cameras of the press with a few of the players. Most people would've been nervous, but I didn't realize what I was doing until it was over. The experience was great, and to know the significance was even better, it's really like throwing it back to 1948! 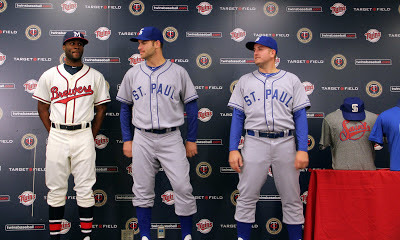 The uniforms will be worn by both teams on May 30th when the Twins host the Milwaukee Brewers.